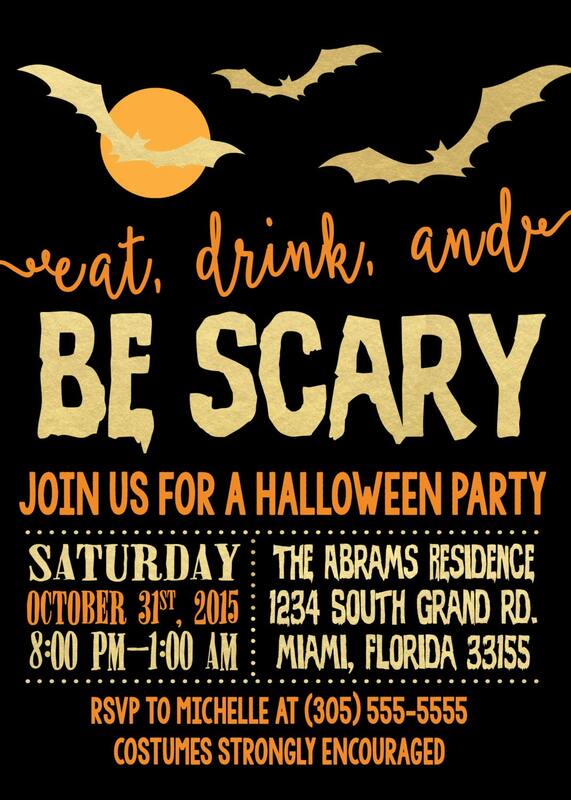 Set the stage for a fabulous Halloween party with this "Eat, Drink, and Be Scary" invitation! 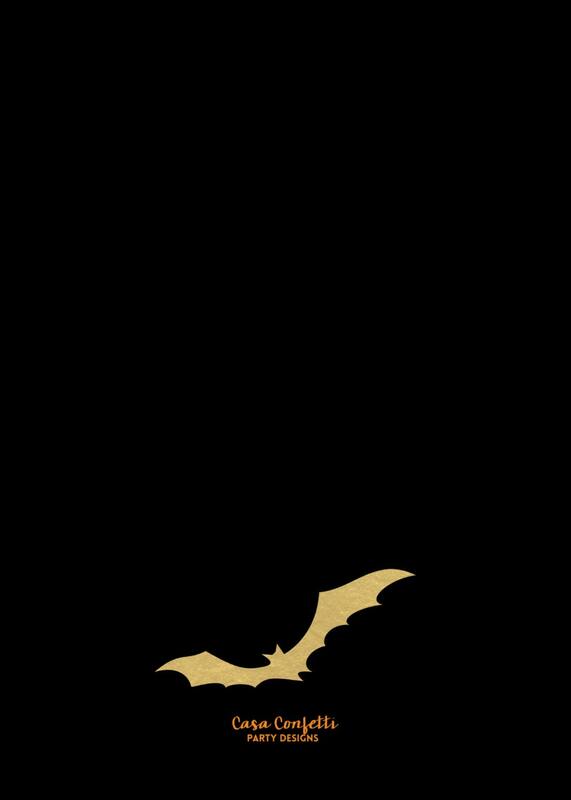 Gold foil bats and text add just the right amount of spook and let guests know that it's party time! 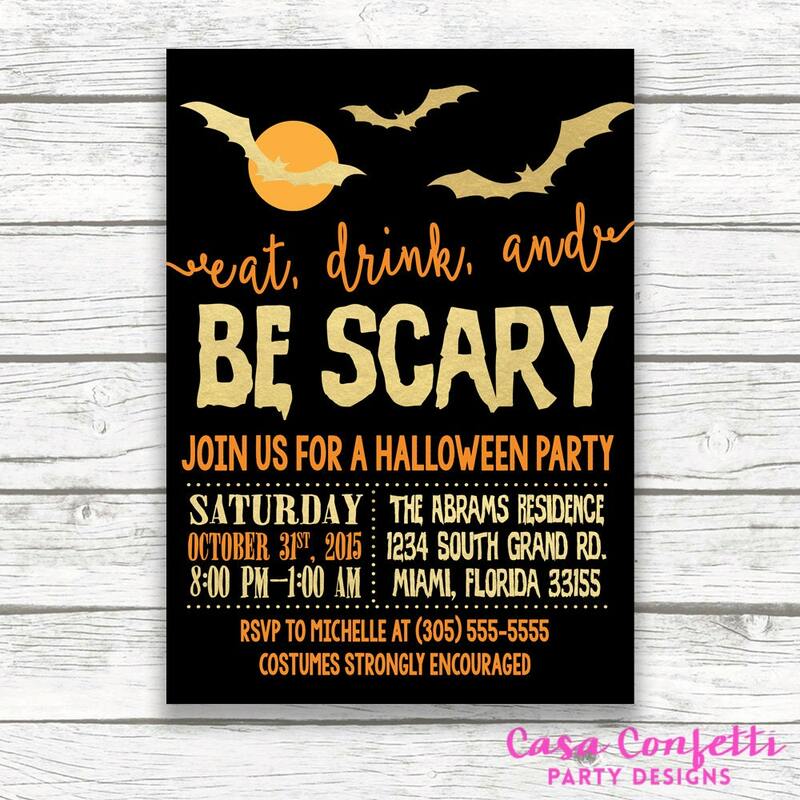 This listing allows you to either purchase the digital file only, or to purchase as many PRINTED invitations as you need. Simply select the option you desire in the drop-down menu. Both options include a FREE matching back for an elegant and polished look. Printed invitations start at only $1.67 each, and this price includes double-sided printing (design on front and back!) on super high-quality, ultra-thick paper, along with shipping and envelopes! This is a great price for the quality that you will receive. Need a different quantity? Convo me and I will set up a custom listing!